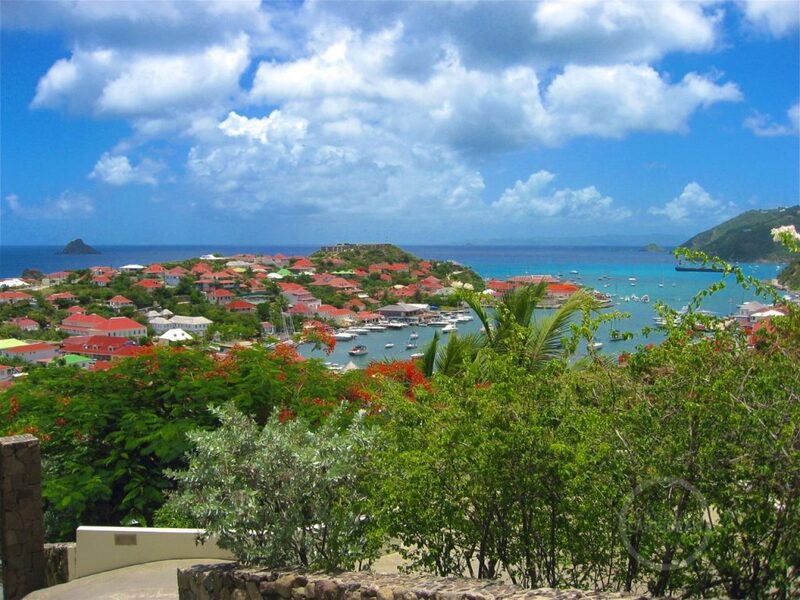 St. Barths, in full Saint Barthelemy, is a French Caribbean island that speaks to many people’s imagination. Exclusive, known by the rich and famous and known as the Saint Tropez of the Caribbean. The latter I can not confirm because I simply never visited Saint Tropez. However, I am one of the happy few who spent his holiday twice on St. Barths! The name of the capital Gustavia suggests that the island has not always been in French hands. That’s right, it was about 100 years in Swedish hands and the capital was named after the then Swedish king. Late 19th century, the island was in French hands again. St. Barths is a mere 20 kilometers east of St. Maarten. The island is accessible both by fast ferry and by air. The most spectacular way to St. Barths is by plane. It was the most exciting flight of only 15 minutes I’ve ever experienced. The airport runway is on an incline. Each aircraft must take a nosedive just above a main road in order to carry out the landing. Add the solid treacherous crosswinds and you have enough ammo for a spectacular landing. Then it is essential that the aircraft brakes in time, otherwise it ends in the sea. Sounds logical, however this has already occurred several times. For whom all this just takes too much excitement, there is the possibility to travel to St. Barths by fast ferry. In less than an hour’s you sail from Marigot to Gustavia. After you defied the rough Caribbean Sea you sail between the upscale and expensive yachts in the harbor of Gustavia. St. Barths is known for its luxurious living. Spread across the island you will find villas of well-known singers, Hollywood stars and politicians. If you stay here in the winter months, you would just literally bump George Clooney or Brad Pitt, because it’s such a small island. The jetset dwells right here! In the capital you will find boutiques of the famous couturiers and people on the island probably drink more champagne than cocktails. If you aren’t sensitive to all this fuss over St. Barths, it is still very attractive to travel to, if only for a day trip. The island offers a variety of beautiful white sandy beaches, romantic coves and cliffs and beautiful views of the surrounding islands of St. Maarten, Anguilla, St. Eustatius and St. Kitts. Furthermore it is a spectacle to see the planes take off and land. The island is ideal to explore by scooter or quad. In one day you mostly drive around the island, but my advice is to also spend the night in a paradise like St. Barths. After all you are one of the happy few on this exclusive yet accessible island.